Shatterproof Plastic Cups in a Frosted Flex Material. "Cheers!" 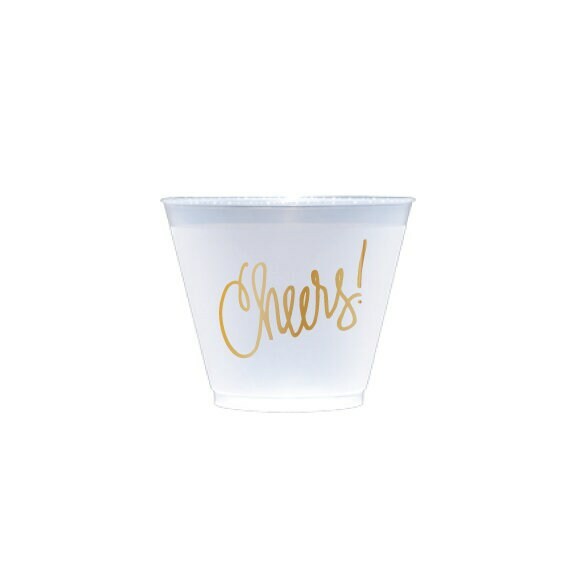 is handwritten and then printed onto the cups in metallic gold. These are exactly what I was looking for, thank you! Great quality, and they came in really cute packaging!